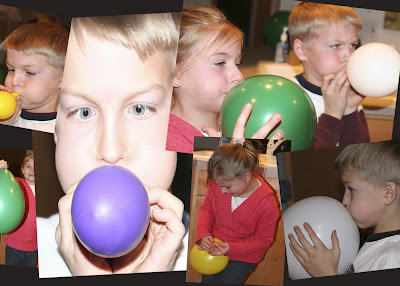 Tonight we celebrated milestones- Connor discovers he can blow balloons for the first time and Camille learns to tie them off. Great fun! Good job guys! I'm impressed that Camille learned how to tie!